Getting past this week will be a huge milestone for myself. 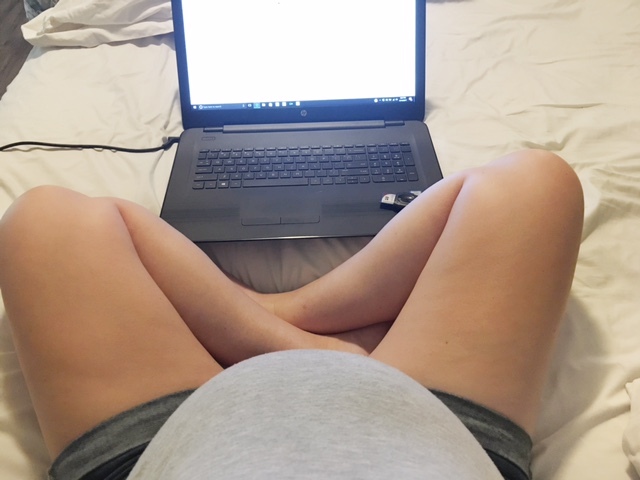 35 weeks was the point when I had a brief labor & delivery stay and was put on bedrest for the remainder of my last pregnancy. Obviously the goal this time is to skip the bed rest! I have an appointment this afternoon so fingers crossed for me, please. In other baby related news, this past weekend was the diaper shower for Baby Wes, he was sprinkled with plenty of diappies and other goodies. Baby Size: This week Baby Wes is as big as a Pineapple and should be around 5 (large) pounds. Symptoms: Can miserable be a symptom, because if it was that is my symptom this week. At this point Baby Wes is so big that there is no more room, every day is pretty much constant aches and uncomfortableness. I’m also pretty hormonal when it comes to the water works. I’ve spent many nights worrying about how my little girl will adjust and missing our time alone together. Currently Missing: Life without grunting every time I have to move. But seriously, I’m ready for the end while at the same time, I’m pretty scared of how our family dynamics will change. Sleep: This week I’ve actually been able to catch a few zzz’s at night. Although it’s the morning that stinks with the aches and pains. Mood: Over this! Today means I have 35 more days until my due date, I’m entering the hardest part of pregnancy where you just feel miserable and tired. Maternity clothes: Maternity clothes these days are all about being comfy and finding something that still fits. My limited stash of clothes has obviously shrunk. Buying: This week’s purchases are all about mom’s postpartum comfort. Be on the look out coming up for what makes it to my postpartum basket. 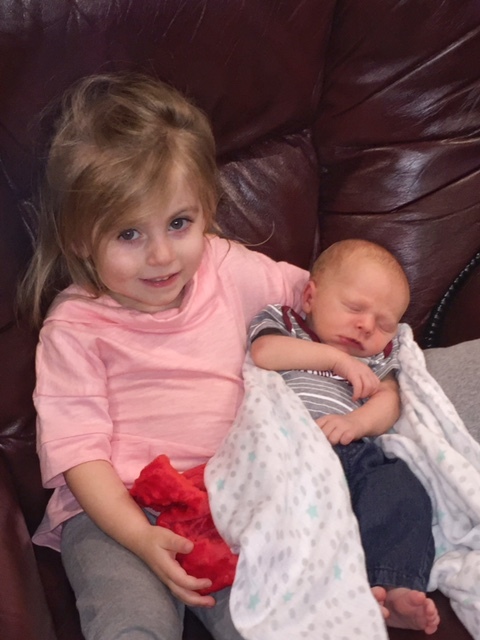 Aspens Reaction: This past weekend Aspen got a little practice on being a big sister with her new baby cousin Kellen. At first, she was very weary of the baby but after a while, she warmed up to him. We practiced being gentle with the baby this week and how we will care for him when he arrives.